Joris Voorn is a record producer, live performer and Dj from Rotterdam, Netherlands that is part of an elite group of international DJʼs whose musical talent has acquired global appeal. 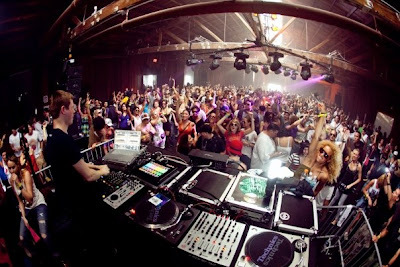 Electronic music first caught his attention in the mid-90ʼs, and he started DJʼing in 1997. After developing a more focused interest in house and techno, Joris invested in the versatile MC-303 Groovebox and began to experiment with synth sounds and drumloops. By the end of 2000 Joris began building a small studio to produce his own music, which led to his first release called ʻmuted trax pt.1ʼ on Keynote. 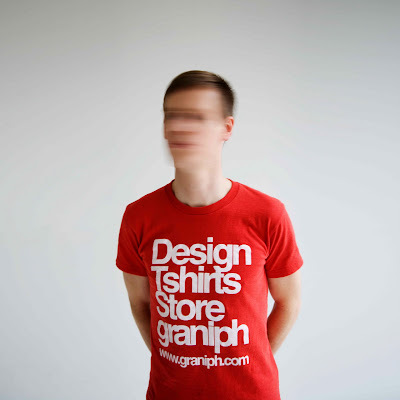 His first EP was massive success, filling the record boxes of Carl Craig, Laurent Garnier, DJ Rush and Technasia. In 2003 ʻLost memories Pt.1ʼ was released on Technasiaʼs SINO label and was followed by ʻLost memories Pt.2ʼ containing the anthem ʻIncidentʼ which was heard on dancefloors around the world. After the success of ʻIncidentʼ, Voorn released his debut cd album called ʻFuture Historyʼ on the Sino label. Encompassing 3 years of ideas and inspiration, the cd contains 20 diverse tracks, a seamless soundscape that represents his arrival as one of the most relevant techno producers of this time. 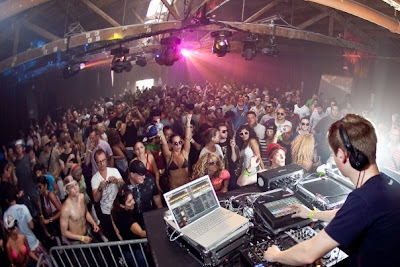 In the summer of 2005 Joris Voornʼs new personal outlet called ʻgreenʼ saw the light of day. ʻA dedicated mindʼ was released as the first EP, which garnered success globally. He also completed his debut DJ mix CD for the Fuse club in Belgium. After Dave Clarke, DJ Hell and Technasia, Fuse presented Joris Voorn to mix part 4 of their intl residentʼs dj mix albums. The mix contained over 40 tracks of timeless techno music mixed with the help of Ableton Live for its endless mixing and editing possibilities. In 2006 the sophomore release under Voornʼs Green label, named ʻMPX_309ʼ, was a crossover techno work that was played out by techno, minimal, house and trance DJs. During the same year Voorn created his second album, ʻFrom a deep placeʼ. Joris recently has been focusing on collaborative efforts producing remixes for respected and diverse artists such as Robert Babicz, Nic Fanciulli, Slam, Steve Angello, Sebo K and Jerome Sydenham. The ʻDark Flower Magnolia Mixʼ for Robert Babicz turned out to be another summer anthem in electronic dance music, and was a favourite of DJʼs like Sven Vath, Dubfire, Pete Tong and John Digweed etc. 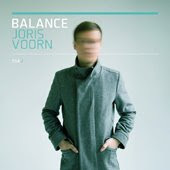 In 2008, following the success of his resident advisor podcast, Joris was invited to produce episode 14 of the Balance DJ mix CD series from Australia. Following in the footsteps of James Holden and Lee Burridge, Joris constructed a layered and seamless mix of electronic dance music on a double CD. An epic mix in the very best sense of the word, Balance 014 achieves the rare feat of combining variety and consistency, making it perfect for trainspotters and dancers alike.Featuring tracks and remixes from Radiohead, Minilogue, Goldie, Sascha Funke, Basic Channel, Dubfire, Robert Babicz, Joakim, Paul Kalkbrenner, Radio Slave, Âme, Todd Terje, Carl Craig, Aphex Twin, Ricardo Villalobos, Tiger Stripes and many more...this incredible cd is out now and we highly suggest you experience this audio treat. Biggest influences or inspirations particularly in creating Balance? - The biggest influence for creating the mixes has been the music in my collection. I was listening to as many different genres as I have, choosing what I wanted to work with. These different sounds inspired me to create the mixes the way they came out. - One of my favorites used to be Derrick May for his driving combination of house and techno and his lively way of mixing. These days I think Laurent Garnier is still very good and versatile in his music. Richie Hawtin also was a favorite, but tends to be a bit strong these days, but I like the way he has a constant groove going with all these things happening around it. Best event you have been to? -One of my favorite events of the year is always the Wire Festival in Yokohama, Japan. The fans there are crazy and very supportive, and the vibe is very high energy. I also liked the WMC in Miami this year though, it was my first time, but I'll definitely come back! Last week Time Warp in Germany was great too, very big audience and lot's of great techno related artists. Sunday School For Degenerates WMC experience? -It was great to play at SSFD! It was very nice, relaxed atmosphere, with a great response from the people as well. I didn't do anything else at the WMC as I arrived on Sunday afternoon, and the festival was over that night. I'll be there next year though! You are known for your complex layering of tracks, is it a technique you continue to develop? - I really like the results you can get by layering different tracks, combining sounds and melodies, instead of just the intro and outro beats of tracks, so for me there's no way back to a conventional way of mixing a CD. It gives me more space to experiment as well, and you can come up with something completely new and original, so it's great! Favorite tracks on Balance 014? - There are many favorite tracks and combinations on the mix, but Midori Pt. 11 is a highlight for me, combining the dubby elements of different tracks, but leaving enough space to let the bass and vocals breathe. Biggest challenges on creating Balance 014? - The biggest challenge was to keep things lively and organic, as I worked on my studio computer to do the mixes; things can get a little static and boring if you're not careful enough. Finding the right combinations of tracks also was quite a challenge, being able to find the magic combinations of two or more tracks, to create something more than the sum of its parts.